We never claimed we are the best, our customers do! Call to plan your next event with us today! Your choice of either beef or chicken steak. Serve with spicy ketchup dipping sauce. 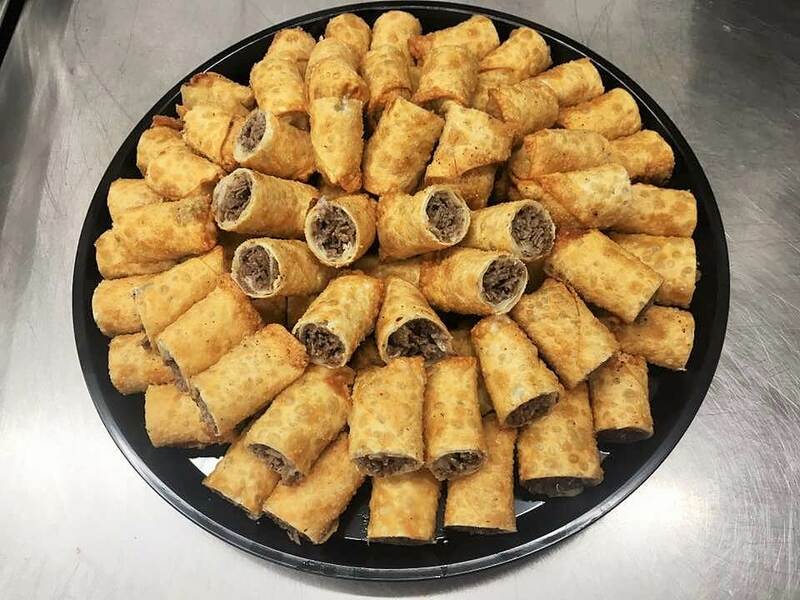 Crispy egg roll on the outside, melty cheese steak goodness on the inside. Assorted bites of Roasted Peppers and Broccoli Rabe, Italian, Cheese steak and Pepperoni stromboli. Diced Plum Tomato with Garlic and Fresh Basil served with Toasted Italian Bread. Your choice of Chicken or Beef. Served with Fried Onions on the side. Cuts of your favorite cheese steaks. Your choice of Turkey, Roast Beef, or Imported Ham Club, Grilled Chicken Caesar, Crispy Chicken and Honey Mustard, Buffalo Chicken, Corned Beef or Roast Beef Special (Russian Dressing and Cole Slaw) and Vegetarian. Any hoagie can be turned into a wrap. served on Italian rolls and topped in melted American or provolone cheese. Scrambled Eggs, Bacon, Sausage, and Homefries. Includes plates, fork, knife and napkin. 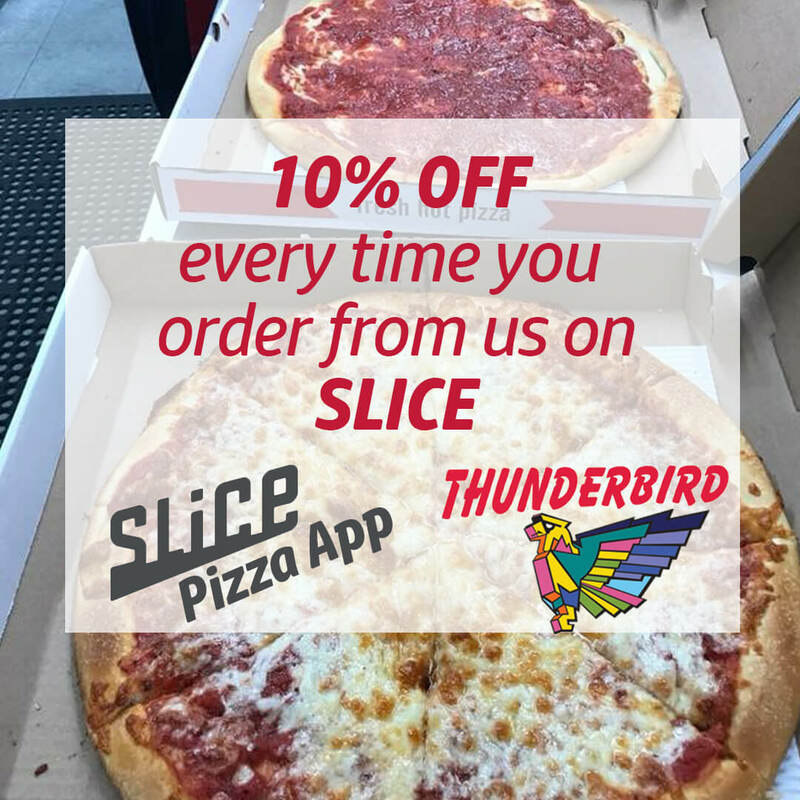 You choice of any singnature omlets – Bacon/Cheese, Ham/Cheese, Western, Spanich, Farmers, Italian, Veggie, Cheese Steak, or T-Bird. Cheesesteak Party Station - A Taste Of Philly! Your choice of Beef or Chicken steak. Served with all the fixings. Cheese, onions, peppers, pickles, mushrooms, and rolls. Warmer, sterno, and serve wares included. Premium roast beef sliced thin and layered in tasty beef ajus gravy. Great as a sandwich or entree. Compliment with your choice of sliced cheese, peppers and horse radish. Perfect party food. Italian roast pork sliced thin and layered in tasty pork gravy. Try it with our homemade broccoli rabe, roasted peppers, sharp provolone cheese, or Italian long hots. Great sandwich option for a party. Homemade Chicken Cutlets topped with homemade tomato sauce and melted provolone cheese. Chicken breast topped with a spinach sauté, and roasted garlic. Finished in plum tomato reduction. Chicken Breast with fresh herbs, lemon and capers. Finished in a herb-lemon reduction sauce. Grilled bite size pieces of sweet Italian sausage smothered with grilled onions and peppers. Perfect in a roll or as an Entree. Italian sweet sausage, bell peppers, onion, and mushroom. Simmered in homemade tomato sauce and fresh cut basil. Hearty and fork friendly. Penne pasta tossed with ricotta cheese, Romano cheese, homemade tomato sauce and topped with our blended mozzarella. Penna pasta finished in our homemade tomato cream reduction, topped with fresh basil, and Romano cheese. All pasta dishes are available in a half pan size (small). Ask for details. Romaine Lettuce, Tomato, Red Onion, Tri-colored bell peppers, cucumber, shredded carrot, shredded purple cabbage, and croutons. Romaine Lettuce, Homemade Croutons, and Romano cheese. Romaine Lettuce, Red Onion, Tomato, Black Olive, Feta Cheese, Anchovies, and hard boiled Egg. Spring Greens, crumbled Feta Cheese, crispy crumbled Bacon, and sliced Red Onion. Our delicious garden salad with black olives, roasted peppers, and artichokes. 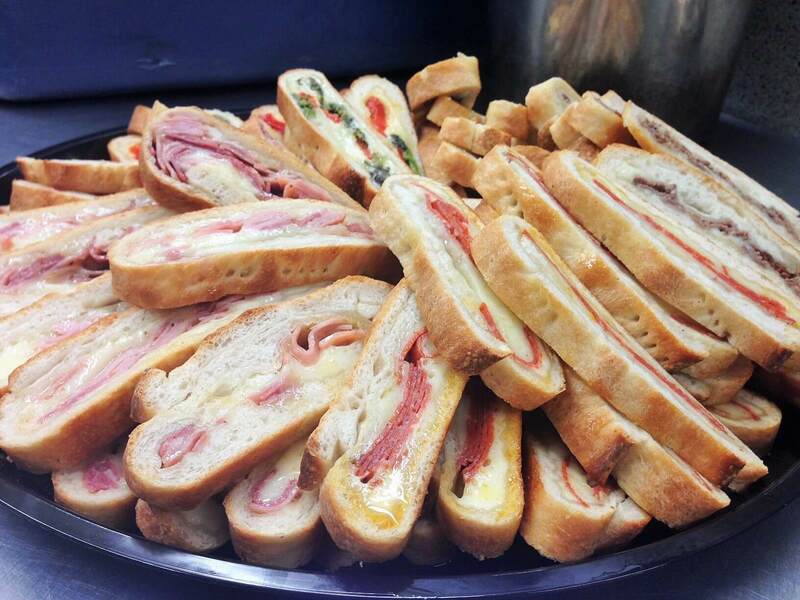 Mixed with layers of delicious sliced Italians meats and cheeses. Fee based with a 4 hour minimum. Arrive 45 minutes prior to event, help with event setup, food maintenance, and cleanup.